What is up folks! New post was delayed for almost a week, because on my internship there's so much to do, there is no room for illustrating left. This illustration idea came up last week, when this website reached the 30 000 pageviews mark. And that even before making the website SEO proof! I thought; 'This whole thing consisting a growing amount of readers, the progress that I make, the new drawing tools that I discover.. It all started with a can of spraypaint.' 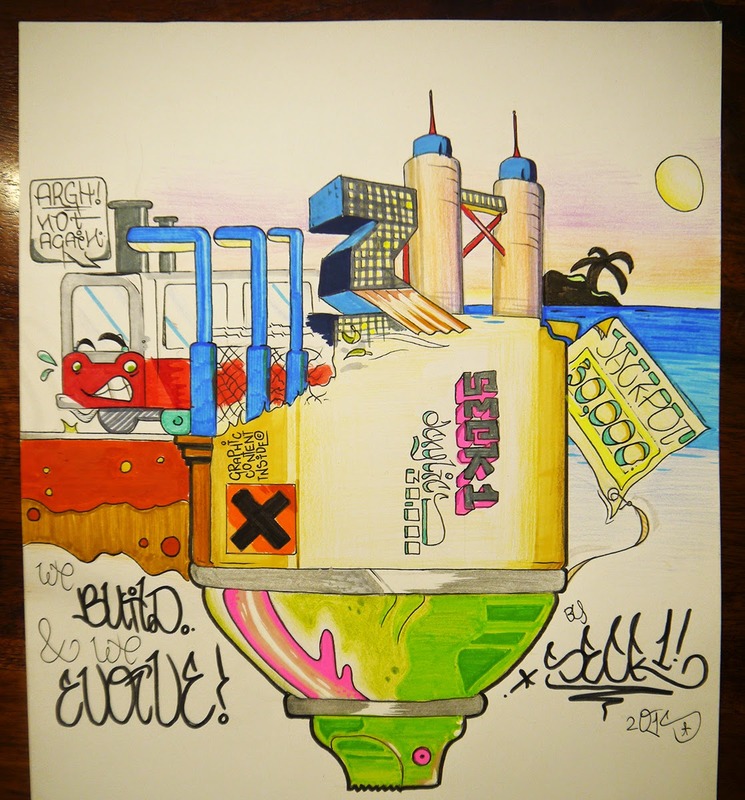 I started to work on this idea by sketching an upside down spraycan, and a cityscape above; a mix between subway graffiti related stuff, and the expensive things in life. There are a couple of thirties' mixed in, with a reason off course. I want to thank all guys that I collaborate with first, my mate Tober, Soak from Amsterdam, Fines, the USD members, and all sticker traders who decide to put my stickers into their packages when sending out. Then there are the readers of the Seck Design blog; The people who write comments with love, the people who give constructive (and non constructive) criticism. Thank you guys for putting a smile on my face, or inspiring me to make my work more professional. 30.000, not bad for a student is it? Love! To the next 30.000, and beyond! WE BUILD AND WE EVOLVE - 30.000 PAGEVIEWS TRIBUTE!